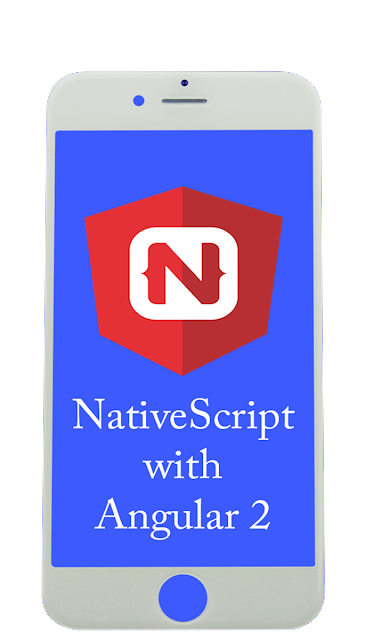 Home NativeScript How to send data using http post request to server using NativeScript ? NativeScript currently supports apps for Android and IOS platforms. Its is easy to learn, provides good support to easily accessing Native API's both in Android and IOS. I consider you have installed Nativescript Successfully. 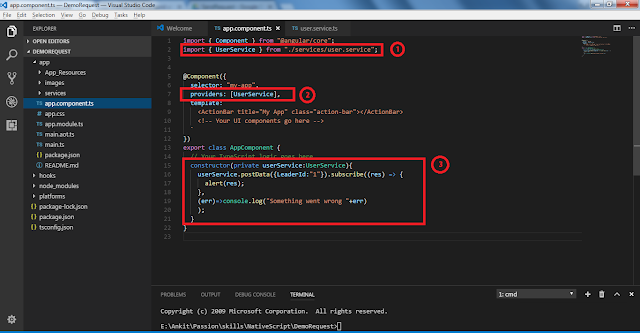 set /p input="Enter Project Name : "
After creating project open project in Visual Studio Code(Editor with good support for nativescript). To perform http post request to server from nativescript application you can use this utility file which will save your time. Finally we will use the utility file and send post request to server. 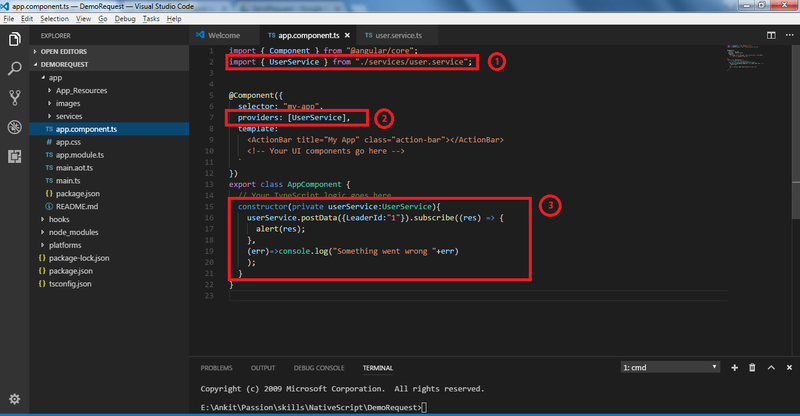 You can import UserService class into any component of your application, for now we will import it in app.component.ts file. In app->app.component.ts import the UserService class we just created in step 3. 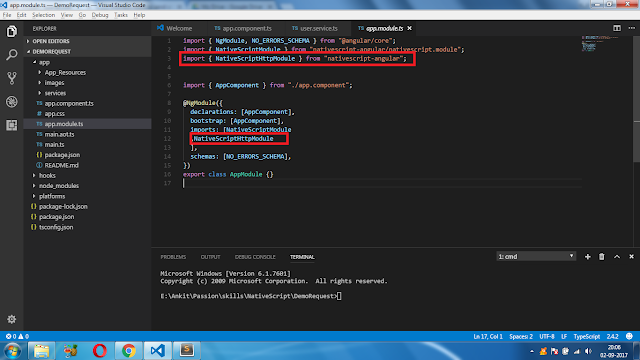 1 : Import UserService which is exported class. 2 : Include UserService as Provider to this Component. 3 : Perform Post request to specified Server. So here we complete application side coding. Now lets create PHP file on Server to get data sent from NativeScript Application. Now, just go ahead and test your project and leave some comments and share my post.